Amalia Fuentes resigns from ABS-CBN show due to "creative differences with the production team"
Amalia Fuentes resigns from Muling Buksan ang Puso due to "creative differences with the production team." Amalia Fuentes will no longer be part of the ABS-CBN teleserye Muling Buksan ang Puso. According to ABS-CBN, the veteran actress resigned from the project "due to creative differences with the production team and the challenges and demands of regular taping schedules." This project is topbilled by Julia Montes, Enrique Gil and Enchong Dee. 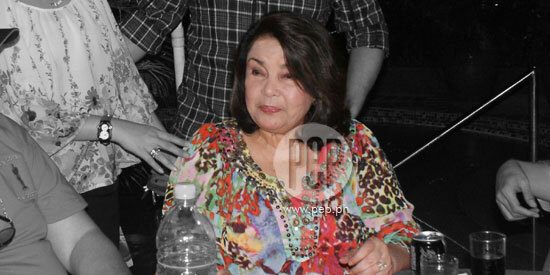 It was touted as the reunion project of Amalia with fellow '60s movie queen Susan Roces. Amalia was supposed to be the antagonist in Susan’s life because they are both are both vying for the affections of Dante Rivero's character. "Ms. Amalia Fuentes has resigned as actress for the upcoming teleserye, Muling Buksan ang Puso, due to creative differences with the production team and the challenges and demands of regular taping schedules. Her resignation has been accepted and her replacement will be announced soon."